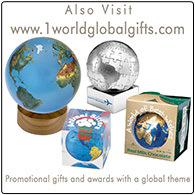 These delicious chocolate globes make the ultimate party favor or are perfect for that memorable giveaway item. 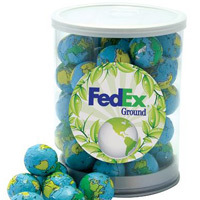 Approximately 11.5 ounces of chocolate earth globe balls are packaged in a re-sealable clear tennis tube. 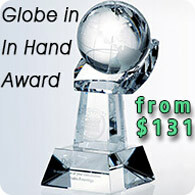 Chocolate, particularly chocolate globes, are unsurpassed in the ability to convey a message or corporate identity. Chocolate globes are kosher dairy Nestl? chocolate. Available packaged in re-sealable clear tubes with optional custom branding on a full color printed label. 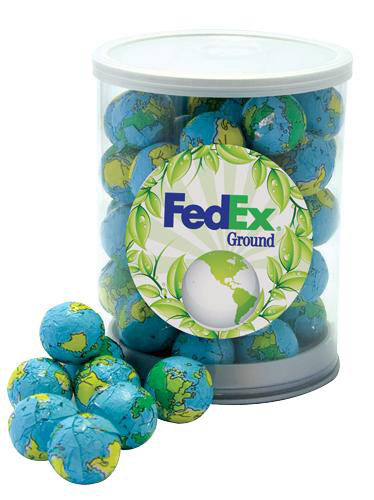 Each tube contains approximately 50 Earth balls. 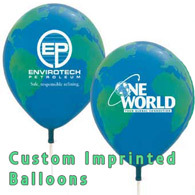 Tubes can be labeled with your logo or special message.